Situated on over 46,000 acres of the private Kulala Wilderness Reserve, bordering the Namib Naukluft Park, Kulala Desert Lodge lies in the heart of the Namib. It offers magnificent views of the famous red dunes of Sossusvlei as well as spectacular mountain scenery and vast open plains. 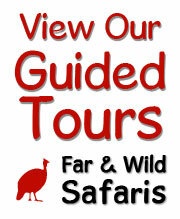 Kulala Desert Lodge is owned and operated by Wilderness Safaris. Kulala Desert Lodge has twelve thatched and canvas chalets or Kulalas (Kulala in the Namibian language "oshiwambo" means "to sleep") with en-suite bathrooms and showers. The Kulalas are set on wooden platforms to provide maximum airflow. Mattresses can be moved to the rooftop to sleep under the stars on a private stargazing platform on top of the room - a popular option with outdoor enthusiasts on sultry summer nights. The main lodge has a lounge, bar, dining area and plunge pool. The verandah overlooks a waterhole and provides the perfect location to view and photograph the desert sunset. Early morning guided game drives to the spectacular dunes are via a private gate on the Tsauchab River. Game drives and walks are also offered on the private reserve with incredible scenery, desert game and smaller desert-adapted fauna and flora. Spotlit night drives are also a highlight. Early morning hot-air ballooning is another option offered, weather permitting. The 60 minute balloon safari offers a truly unique experience of soaring silently above the magnificent desert sand dunes and and ending off with a champagne breakfast served at the landing site. On the edge of the oldest desert in the world, this is not a game rich area; however, whatever game guests see is interesting and dramatized by the contrast between life and the desert. However, guests will likely see animals like Springbok, Gemsbok (Oryx) and Ostrich who manage to survive in these harsh conditions. Night drives using spotlights offer sightings of Cape Fox, Aardwolf, Blackbacked Jackels, Bat Eared Foxes and even the odd Spotted Hyena. Hartmann's Mountain Zebra may also be seen in the Namib-Naukluft Park.